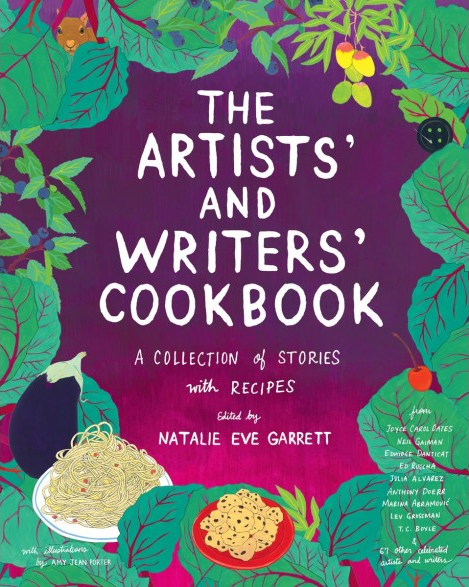 This week on Eat Your Words, host Cathy Erway is joined by Natalie Eve Garrett, an artist, writer, and the editor of The Artists’ and Writers’ Cookbook: A Collection of Stories with Recipes from powerHouse Books. Inspired by a book from 1961, The (original) Artists’ & Writers’ Cookbook included recipes from the likes of Marcel Duchamp, Man Ray, Marianne Moore, and Harper Lee. This new version includes stories and recipes from Joyce Carol Oates, Neil Gaiman, T.C. Boyle, Marina Abramović, and many others.